Convert videos including AVI, MP4, WMV, MKV, MPEG, FLV, 3GP, DVD, WebM, MP3, etc for iPad, iPod, iPhone, Android, PSP, Samsung Galaxy, Kindle Fire, etc. freely. Burn videos to DVD and Blu-ray disc. Free YouTube Downloader. It's a free video converter for everybody. Get it now. Aura Free Video Converter is one of the most renowned free video converters for converting video files between various formats, with fast converting speed and excellent video quality. Besides, Aura Free Video Converter is able to download YouTube videos and convert to all popular video and audio formats for playback on media devices. Burning videos to DVD disc is another important feature of the Free Video Converter. It supports standard DVD, AVCHD disc and Blu-ray disc. Aura Free Video Converter was awarded with 4-star rating by CNET editor from 2009 until now. 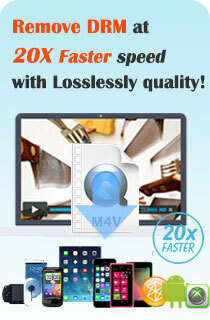 "Aura Free Video Converter offers to crisscross video formats in a matter of seconds. We were able to easily change the file type of our videos with this impressive program." Aura Free Video Converter is a free program. It leaves files behind after uninstalling. Its simple operation and excellent results make this converter a program we recommend. Its interface was welcoming, even though we had limited experience with videos and file conversion. Its helpfully labeled commands practically walked us through the entire process and never left us feeling as if we needed the Help file's instructions. Once we'd picked the videos we wanted to convert, we were able to choose from nearly 20 file formats to convert them into. The file types are broken down into categories of personal viewers, standard video formats, and audio formats. This was pretty much Aura's only variable, and it made the conversion incredibly easy. It quickly converted one type to the other, and the new file maintained the original's length, quality, and content. The program breaks down the process into simple steps so even inexperienced users can quickly convert all sorts of files. We were disappointed in its lack of substantial features, though it does offer an upgrade that adds the ability to rip and burn DVDs--for a price, of course. Overall, this was a surprisingly easy program that practically anyone can use. I am just having some sort of confusion, with these many many options, to convert my high definition MP4 files downloaded from Youtube, in to the highest quality MP3s. Will you please teach me the main difference between these six bitrate choices? (CBR) (ABR) (VBR1) (VBR2) (VBR3) (VBR4), and which of this to use, to achieve the best, and the greatest audio quality? PLEASE!, keep on producing FREE, but AWESOMELY GREAT SOFTWARE! OK. now, that I have already known the difference between CBR, ABR, and VBR respectively, will you again teach me, but this time, what i want to learn, are the main distinctions of VBR1, VBR2, VBR3, and VBR4, and if how can they be of help, to accomplish my task, of producing the best MP3 audio quality? One more thing to ask, may i also get your expert recommendation of which audio converter that is now available for me to use, to further enhance and perhaps, produce the same quality as to your free video converter does, and that aside from being immense in features and usability specially for the blind geekers, same as to your Aura GREAT video converter, FREE? It seams that contrary to your statement posted on to your website that says, "Our customer service is not perfect," is almost a hundred eighty degree opposite! Your very timely replies to my messages are just so overwhelming to me, despite for the fact that,i am only using your free product, to accomplish my tasks. My sincerest apology, for i have not able to fine the most accurate word, or words to say, just to express my deepest gratitude, other than, THANK YOU, THANK YOU, and many many more, THANK YOUs! For such a great help that you have extended. In the software that you have recommended,which is, Aura free video to audio converter, to accomplish my desire of enhancing the audio quality of my MP3 files,why is that, it has neither get an attention from any of the editors from CNET, nor a single review from the real/ genuine user/reviewer of download.com? And is it really not possible to enhance the audio quality of my MP3 files? lets say for instants, i have an MP3 file that is only a 128 bit quality and 44100 hertz, will it not become greater and better, if I'll enhance it, by converting it into 320 bit quality, and 48000 hertz? because you stated in your reply to me: "The raw audio file has the best quality, that's when it's recorded or produced for the first time. After that, with every conversion or editing, audio quality will loss a little bit. So it's not recommended to try to enhance audio quality by conversion or editing. That would only worsen the quality." I was able to convert some home videos that were incompatible with Facebook, to a compatible format, thus allowing me to upload them and share with distant family members. Really easy interface. Good little program to change format of your videos and clips. It worked as advertised. The conversion was completed without any problem. This program is definitely a keeper! The process is extremely slow. It took over 4 hours to convert a 1-1/2 hour home movie. Simple navigation works you through the whole process without hassles. It's really a free video converter, not free trial. The video editing function and video effect feature need to be enhanced. The preview window is a little small, bigger would be better. I'm kind of judge-people-by-appearance person. But I think a nice person should has nice appearance. So does a program. This program looks nice and perform well. Completely free as advertised. Makes it possible to convert to any type of video or audio formats, it recognizes every media file I have and also there's an extra option which allows you to download videos from Youtube. Easy, simple user interface. It asks you whether you want to upgrade to the pro version after every convert, but that's all. A simple click on 'No Thanks' and your away again. After wasting my time going through many "free" converters and then finding that it's only a free trial period, or would not even recognize let alone convert my VOB file, this one is definitely a keeper and is highly recommended. Its a free version yet converts videos fully. Well it free so you can't expect 100% DVD quality but it's output is not also "squarish". Share you experience, comment, feedback and suggestions about Aura Free Video Converter. Aura Free Video Converter is able to convert more than 30 types of video files to MP4 or H.264 videos for Apple iPod media players, including iPod nano, iPod classic and iPod touch. The Apple iPod product line-up includes the hard drive-based iPod Classic, the touchscreen iPod Touch, the video-capable iPod Nano, and the compact iPod Shuffle. Even though the Free Video Converter doesn’t offer a dedicated output profile for iPod, you can custom MP4 videos for your iPod. Just choose Customized MP4 Movie as output video format, and then modify video codec, video size, video bitrate, audio codec, audio bitrate and other parameters in accordance to the specifications of your iPod. With the Free Video Converter, you can make MP4 videos or MP4 AVC videos for your Sony PSP. However, you need to custom the output profile for PSP by yourself. You may choose Customized MP4 Movie as output format, and then change couples of audio/video parameters to make the right videos that can playback on your PSP. The Free PSP Video Converter supports PSP Slim and Lite (2000 series), PSP-3000 and the latest PSP Go models. Besides converting video files to most-used formats, the Free Video Converter can also extract sound tracks from video files and convert it to audio file, including MP3, WMA, AAC, WAV, OGG and M4A audio. Free Video Converter can convert AVI videos to MP3 audios, MP4 videos to MP3 audios, FLV videos to MP3 audios, etc. With Aura Free Video Converter, you can convert AVI videos to MP4, WMV, FLV, SWF videos and even MP3, WMA and other audios. You can also convert MPEG, FLV, WMV and all supported video formats to custom AVI videos. AVI file contains both audio and video data in a file container that allows synchronous audio-with-video playback. There is slight overhead when used with popular MPEG-4 codecs (Xvid and DivX, for example), increasing file size more than necessary. DV AVI is a type of AVI file where the video has been compressed to conform with DV standards, there are two types of DV AVI files. MOV uses a proprietary compression algorithm developed by Apple Computer; compatible with both Macintosh and Windows platforms. The Free Video Converter can convert MOV movies to AIV, MP4, WMV and even FLV videos. With Aura Free Video Converter, MOV videos can be converted to iPod videos, Zune videos, PSP videos and 3GP mobile phone videos, so that you can enjoy the videos anywhere. The QuickTime (.mov) file format functions as a multimedia container file that contains one or more tracks, each of which stores a particular type of data: audio, video, effects, or text (e.g. for subtitles). The Free Video Converter supports MPEG and MP4 as input formats. 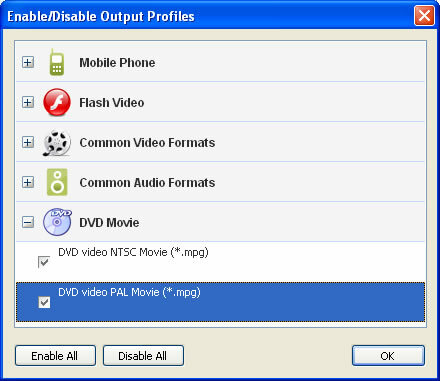 It also includes several variations of MPEG video formats as output profiles, DVD Video NTSC Movie (*mpg), DVD Video PAL Movie (*mpg), MPEG-1 Movie (*mpg), MPEG-2 (*mpg) and Customized MP4 Movie. MPEG is a common video format standardized by the Moving Picture Experts Group (MPEG); compressed using MPEG-1 or MPEG-2 compression; often used for creating movies that are distributed over the Internet. The MPEG-4 video format uses separate compression for audio and video tracks; video is compressed with MPEG-4 video encoding; audio is compressed using AAC compression, the same type of audio compression used in .AAC files. The Free Video Converter can both convert various types of videos to MPEG/MP4 videos formats and convert MPEG/MP4 videos to other types of video formats such as AVI, FLV, WMV and 3GP. The Free Video Converter is an outstanding WMV video converter, both converting WMV videos to all kinds of videos and converting 30+ video formats to WMV format, using WMV 8 or WMV 9 codec. Microsoft claims that WMV 9 provides a compression ratio that is two times better than MPEG-4, and three times better than MPEG-2. Windows Media Video (WMV) has gained adoption for physical-delivery formats such as HD DVD and Blu-ray Disc. Software that can play WMV files include Windows Media Player, GOM Player, ALLPlayer, The KMPlayer, PowerDVD, RealPlayer, MPlayer, VLC Media Player, Zoom Player and Media Player Classic. Mac users can use Flip4Mac WMV (also known as Microsoft Windows Media Components for QuickTime) to play WMV files. HTML5 is the fastest growing web development trend and HTML5 video as a part of HTML5 becomes the new natural way to show video online. Aura Free Video Converter can easily encode and create the HTML5 video online for watching videos on all browsers or sharing videos. With this Free HTML5 Video Converter, you can perfectly convert videos to HTML5 videos with embedding code and HTML page for modern browsers like IE9, Firefox, Chrome, Safari, Opera and more. With user-friendly interface, smart features, brilliant functions, the Free Video Converter is super and easy-to-use. What’s more, it’s completely free! Get the full version of the super easy free video converter now.